We, the Parishioners of St. James the Apostle strive to know God, to love Him, and to serve Him through His people. (Deut 10:12-13). We strive to know Him through participation in the Sacraments, study of the Word, prayer and reflection. 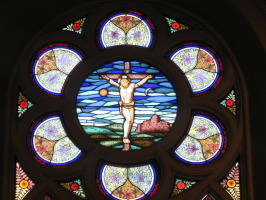 We strive to love Him through the respect, compassion, forgiveness and love we share with those whom enter our lives. We strive to serve Him through the service we provide to the people of our Parish and others in need. It is easy to be FORMED. Go to formed.org. 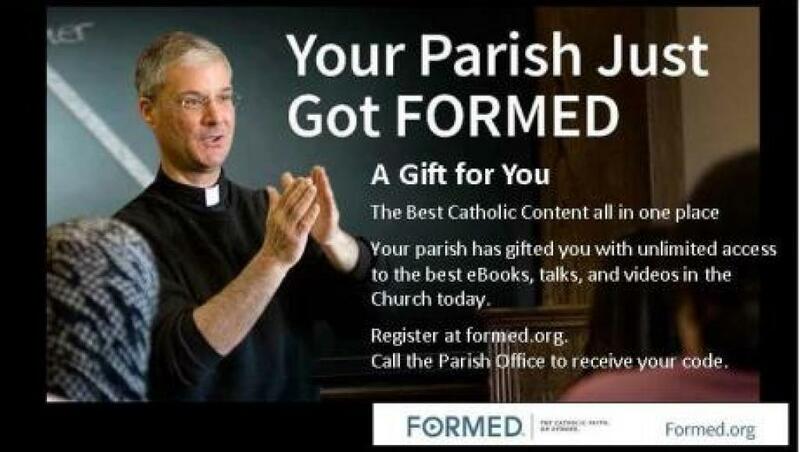 You should see the registration box for parishioners. Type in the parish code, which is available by calling the Parish Office or email office@stjameskenosha.org. Now set up a username and a password. You now have access to the great programs on formed.org anytime simply by logging in. If you have questions or experience any problems setting up your login, please call the Parish Office. For Holy Day Mass times, please check our event schedule. Any occasional change to our regular Mass times will also be posted there. When you shop on-line you can support St. James! Use this link, smile.amazon.com/ch/39-0833616 and Amazon donates to St. James Congregation. Tune into the first of a series of weekly podcasts from the Archdiocese of Milwaukee with Fr. Phillip Bogacki, Pastor of Christ King Parish, Wauwatosa and St. Bernard Parish, Wauwatosa, and Fr. Ricardo Martín, Pastor of Sacred Heart Parish, Racine and Vice-Chancellor for the Archdiocese of Milwaukee, to help you start thinking about this Sunday’s Gospel reading. Two Guys and a Gospel is produced by the Archdiocese of Milwaukee. 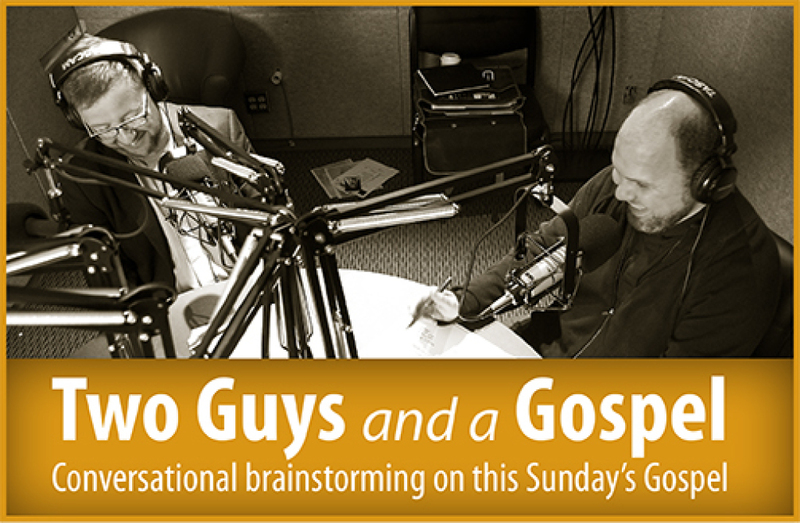 This free podcast is posted every Wednesday at 10 a.m. prior to the upcoming Sunday Gospel. ©2019 St. James the Apostle All Rights Reserved.